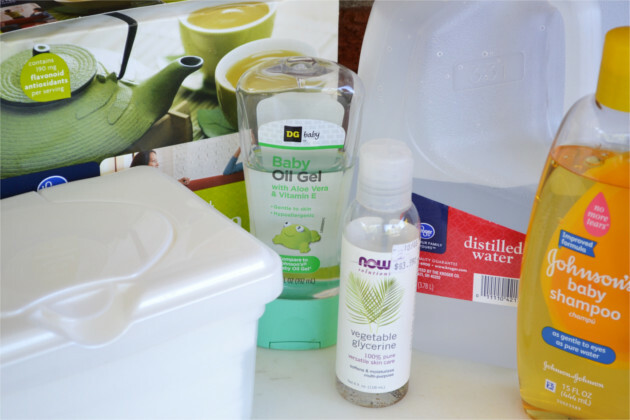 Last week when I was showing you how to Easily Remove Labels from Plastic I told you that I had a super easy project that I would be sharing with you this week. Well here it is, All-in-One Facial Wipes. I’ve seen homemade facial wipes all over the web, as I’m sure you have, and I have tried a lot of them, but through trial and error I’ve come up with what I think are the best yet. They not only clean your face, but they also help to repair blemishes, scarring and acne. The best part for me is that at the same time that I’m cleaning and repairing my skin I’m also moisturizing and slowing down the wrinkling process. Yay!!! With the other homemade facial wipes that I’ve tried, you had to find a thick enough paper towel, cut it in half, find a container that was pretty enough to display in the bathroom and hope that they didn’t mold. 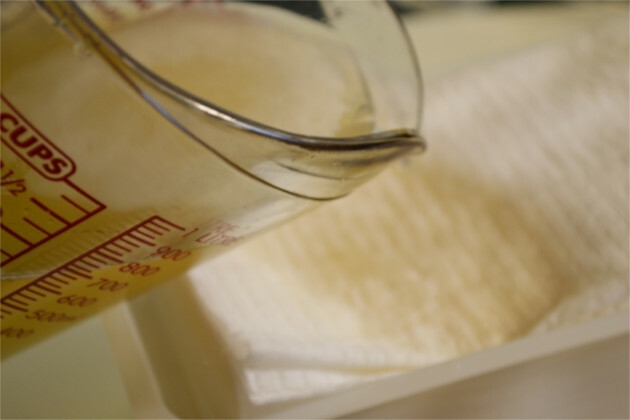 With these facial wipes, all you need is a few simple ingredients and a tub of baby wipes. Baby wipes you say, yes, I figured why invent the wheel if you don’t have to, if they’re gentle enough for a babies bottom then why not your face. Most of the baby wipes these days contain vitamin E and Aloe, which we all know are good for the skin, they’re hypoallergenic, they’re thick and come in an attractive container. With the addition of a few more ingredients you’ve got the perfect facial wipe. As for the mold, have you ever had a tub of baby wipes get moldy? Me either! Even with the addition of a few ingredients, I’ve never had these facial wipes develop mold. Boil the water. Because I like to multi-task, I’ll boil it in the microwave, the steam loosens up anything stuck and makes it easy to wipe out. Steep the tea bag for 5 minutes. This is when I wipe out the microwave. Stir in the baby shampoo, witch hazel, glycerin and gel. Let it cool. Pour the mixture over the baby wipes. Let it sit for 30 minutes, then flip the tub upside down for another 30 minutes. This helps to evenly saturate the baby wipes. 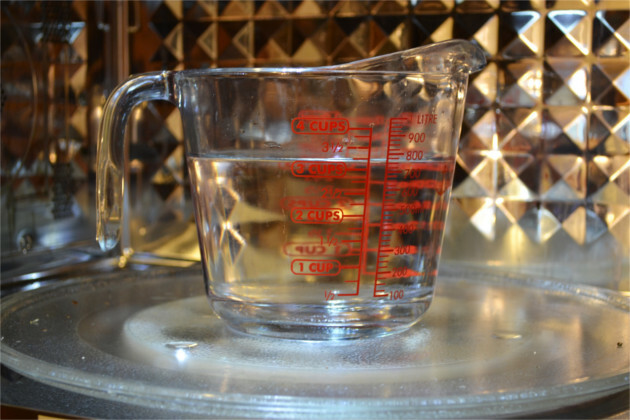 Distilled Water. Leaves skin looking and feeling cleaner without all of the impurities found in tap water. Green Tea. Contains antioxidants which helps to ward off skin cancer and signs of aging. It also helps prevent wrinkles, tones the skin, and reduces the redness caused by rosacea. Baby Shampoo. Gentle on the skin, helps remove make up without causing tears, hypoallergenic,. Witch Hazel. Removes oil, make up, dirt, and dead skin cells. Helps to restore your skins PH balance. Treats acne and blemishes, soothes skin, tightens pores, moisturizes and reduces wrinkles. Vegetable Glycerin. It’s 100% pure and hypoallergenic. It moisturizes, cleans, tones and softens. Treats acne and reduces wrinkles. Vitamin E. Contains antioxidants that help to reduces wrinkles and scarring and also lightens age spots. It also cleans, helps to remove makeup and moisturizes. Aloe. Helps to treat acne and reduce the appearance of wrinkles. It also removes makeup, tightens pores, moisturizes, lightens age spots, and brightens skin. Baby Oil. Gentle on the skin, helps to remove makeup, cleans and brightens, removes makeup, firms and tones, and moisturizes. 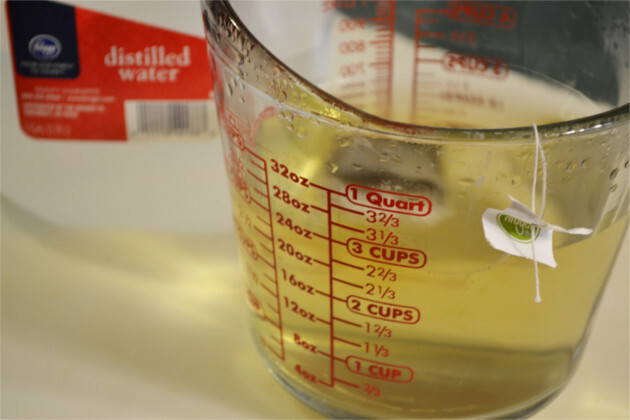 Steep tea bag in boiling distilled water for 5 minutes. 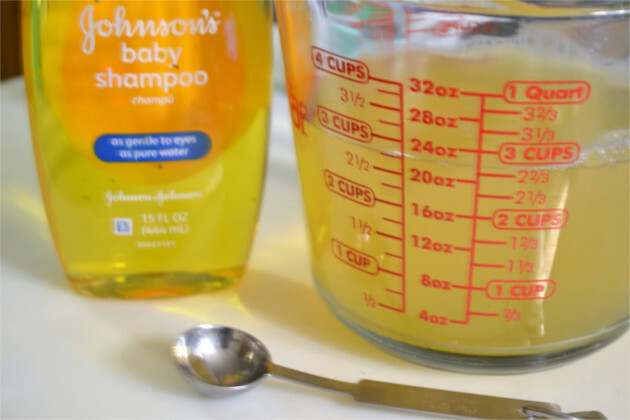 Stir shampoo, witch hazel, glycerin and baby oil into the tea water. Let it cool completely, then pour over baby wipes. Let it sit for 30 minutes, then flip upside down for another 30 minutes. *I usually discard the first baby wipe because it tends to be a little to oily. * If you like your wipes more on the wet side add more distilled water. Follow Fluster Buster’s board Beauty – Pampering on Pinterest. Witch Hazel- never would have thought of that! Awesome- thanks! Go right ahead, I’m glad that you like the content!